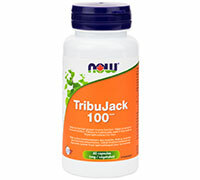 NOW® TribuJack 100™ contains a potent standardized extract of Eurycoma longifolia, commonly known as LJ100™. It contains bioactive Eurypeptides, the active constituents of Tongkat Ali. Clinical and non-clinical studies have shown that Tongkat Ali extracts support male reproductive function and healthy testosterone levels. Tribulus has been included for its virility supporting effects, as shown in scientific studies. 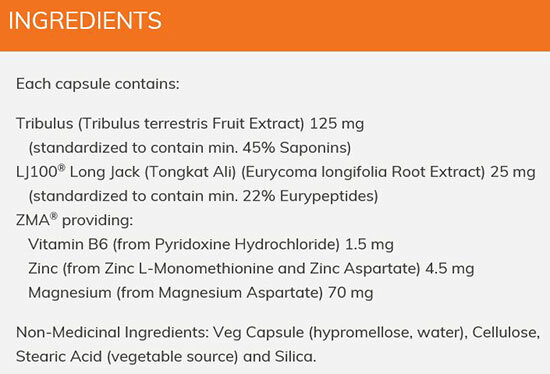 TribuJack 100™ also contains ZMA®, a synergistic mix of zinc & magnesium, to support healthy immune, reproductive and neuromuscular function. This unique combination provides enhanced energy and male support, without the anxiety & insomnia that may accompany similar supplements. Adult Dosage: Take 3 capsules daily with food and a few hours before or after taking other medications.